Having just watched the 158th running of the Melbourne Cup, it is time to honour another Melbourne Cup winner from yesteryear, a dear friend Robert (Bob) Skelton, jockey extraordinaire. I have always had a vested interest in racing and coming to live in Australia in 1973, I already knew that the Skelton family were a household word in New Zealand, so imagine my surprise when Bob Skelton moved to Mornington, Victoria, where I just happened to live. 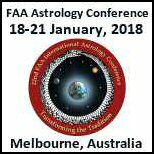 Our paths crossed during the 1980’s when I had a very popular coffee shop in Mornington and had just started learning astrology. He and his wife Maureen used to come in for coffee every now and again. Bob Skelton was born on December 28th 1934 in the small West Coast town of Cobden, near Greymouth in New Zealand and being born under the sign of Capricorn it gave him the ability to focus on his career. It was the strong steely resolve of both the Sun and Mercury in the sign of Capricorn that gave him the patience, persistence and perseverance which kept him at the top of the racing tree for over 30 years. Skelton’s association with horses began as an eleven-year-old, when he helped his friend Mick Minehan with the early morning milk round. His job was to rig-up two retired pacers to the milk cart and so began his career as one of Australasia’s greatest jockeys. Racing was a big part of life on the West Coast and although Bob’s Gran reminded the family of the evils of the game it was not long before the Skelton family were fully participating. At thirteen Bob’s oldest brother Bill became apprenticed to Jack O’Donnell and when he rode in his first race that December the whole family turned out to watch. Brother Frank followed in his footsteps then in January, 1948, Bob too packed his bags and left home to start a career that would make his name a household word. Bob Skelton was one of the sporting world’s gifted people. He was very unique in the understanding of the private world of the horse. I interviewed Bob for this article back in July 1985 and he told me that horses are like humans. They think and feel both emotionally and mentally. If you can communicate with their very soul, then you can bring out the best the horse has to give. 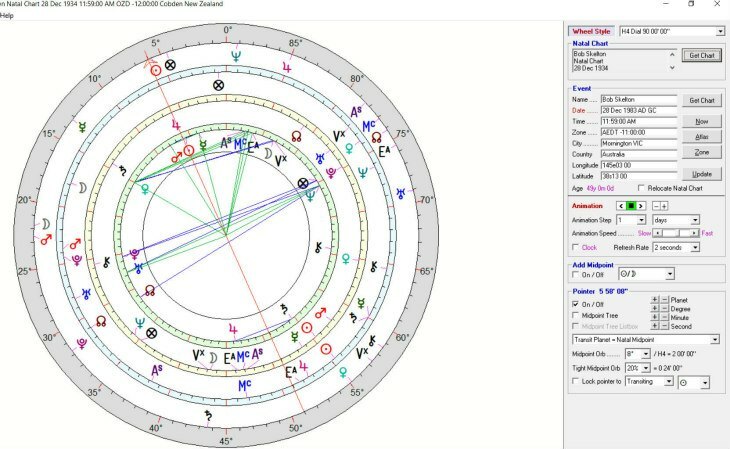 If we take a look at the natal chart of Bob Skelton he has the Sun midpoint the natal Mars\Mercury in the cardinal signs. In his book, “The Combination of Stellar Influences,” by Reinhold Ebertin it describes this pattern as the achievement of success through the spirit of endeavour and the power of determination. This combination also gives a smart mind and the powers of concentration. The Moon in the sign of Virgo was also strong adding a conscientious and practical streak to the personality. It also gave him the unique ability to analyse and read the state of play during a race. Mars, planet of energy and drive in Libra added a softening touch and artistic talent combined with a sense of urgency. Jupiter in Scorpio was able to provide the intensity of life and the need for excitement and thrills. All the qualities need for a good jockey. By the time he reached 49 years of age the Solar Arc, Jupiter came to the Sun mid-point Mars/Mercury so one would think that this could be a lucky year. However, at the same time the Sun mid-point the Mars/Mercury had come to Saturn and Solar Arc Saturn had come to Venus. This was a lot to digest but any practising astrologer might think that at least something unusual or peculiar might happen. 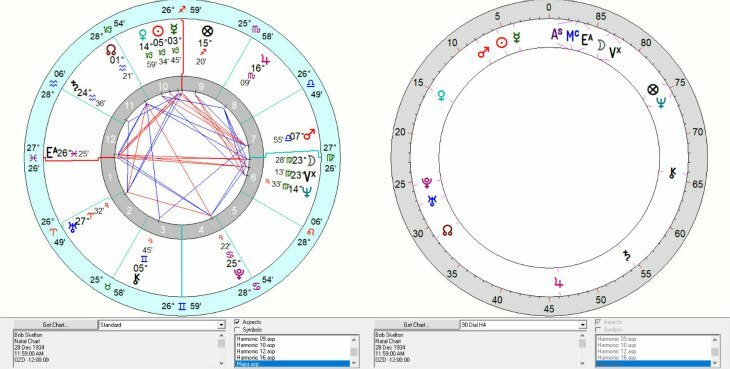 Also; if we look again at the quad chart cast for his 49th solar return we also see that Venus was to the natal Saturn (on the outside circle) so here was a double up of frustration and disappointment to say the least. If there were any disadvantages then Jupiter could be the helpful factor which is the way it turned out. On 6th November, 1984 just a couple of months short of his 50th birthday Bob was involved in a very serious accident on a country race track. After viewing the video replay we could see he was very lucky to be alive. This accident put him out of racing for two months. I was privileged to be asked to cater for Bob Skelton’s 50th birthday party in Mornington and was in my element mixing with racing royalty but with his Solar Arc only moving one degree for the year the frustrations would continue. Jupiter had now moved to the mid-point of the Sun/Mars and Mercury had come to Saturn. Skelton was no sooner fit to ride again when he had a series of accidents. He fell at Kyneton, Seymour, Mornington and Flemington. During this time he also incurred a suspension for careless riding, and if that wasn’t enough, his wife was pressuring him to retire. The other pressure not helping his horoscope at the time was that Saturn, planet of frustration and inhibitions was transiting his natal Saturn and the Solar Arc pattern to this point. One couldn’t help feeling compassion for this man as astrologically his patience and persistence were being tested to the limit. Bob was open to astrological options and I told him if he could just hang on in there for one more year he could come back bigger and better and almost win the 1986 Melbourne Cup. 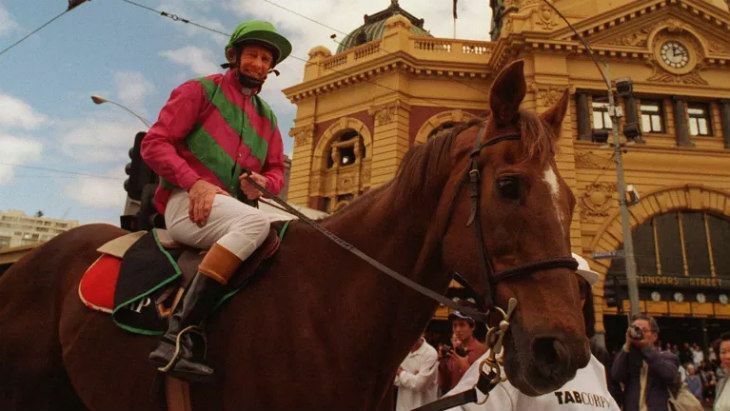 Lucky for this maestro, his love affair with racing was not over and true to my prediction when Saturn moved on Bob did come back to racing and ran second on Rising Fear at 50/1 in the 1986 Melbourne Cup which was won by At Talaq, ridden by Michael Clark. There was only a long neck between first and second so saying that he would almost win the 1986 Melbourne Cup some 18 months prior was an amazing prediction. They say, “To be in love sends the blood racing along and gives you all the excitement you need to choke in the throat.” Perhaps this is why even today after the running of the 2018 Melbourne Cup, the excitement and the thrill of this big day continues to have such a magnificent effect on each and every one of us that have the racing vibe. Bob Skelton died in Melbourne on 19th August 2016. In 1978, Queens Birthday Honours appointed him a Member of the British Empire (MBE) and in 1995 he was inducted into New Zealand Hall of fame.